Not that long ago, genealogists seeking to find a grave had little recourse other than visiting cemeteries in person. Depending on where your ancestors resided, they may be buried in cemeteries which are out of state or even out of the country making them impractical to visit. Even the ones located nearby require a serious investment in leg work and sweat equity. In addition to fighting the weather and bugs, other issues can make a trip to the graveyard challenging. Older headstones are sometimes worn by the elements to the point that they are unreadable and may be located in areas overgrown by vegetation. Once all the plots in a cemetery are purchased, funds to keep the grounds maintained tend to dry up and cemeteries fall into a state of neglect. Graves also may be moved, vandalized or just hidden amongst a sea of other headstones. Now, thanks to several excellent websites, many researchers are able to find an ancestor’s grave without even leaving the comfort of their own home. Who wants to spend their time trudging through headstones in search of an ancestor’s final resting spot when a few keystrokes and mouse clicks may suffice? Now, thanks to the power of the internet and volunteerism by fellow genealogists, there is a better way. The prevalence of the smartphone has allowed hundreds of thousands of regular folks to snap pictures of gravestones and upload them directly to popular websites. 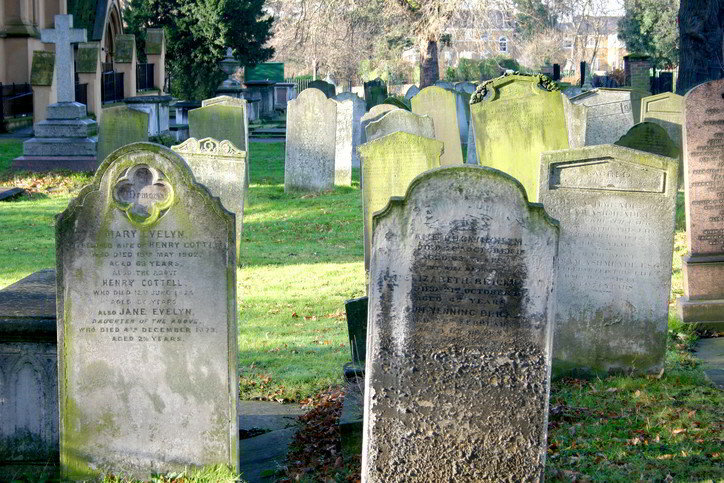 Searching your ancestors on gravesite locator websites is the new way to do cemetery research. Convenience is king; it has never been easier to digitally recreate a cemetery visit. These web resources most commonly list headstone inscriptions and may even contain pictures of headstones and GPS coordinates. After all, most people are just after the headstone photo, anyway. Why not reach our goal in the quickest and easiest way possible? Below is a list of the largest and most popular free websites for locating ancestor grave information. These sites should be your first stop before planning any cemetery field trips to make sure you don’t duplicate work that has already been done. BillionGraves boasts the world′s largest collection of searchable GPS cemetery data to complement their vast database of stone inscriptions and pictures. The only complaint I have with this site is that it has become so integrated with other genealogy affiliates that the grave data can get lost in the sales pitches. To combat this, I suggest that under “Refine Results” you choose the “Headstone (Supporting)” option to filter out all the other noise. Find A Grave has a much more straight forward user interface. Just click on the option to “Search 151 million grave records” or one of the other links on their homepage. The website was created in 1995 by Jim Tipton because he saw a lack of support for his hobby of visiting the graves of famous people. His website over the years, has grown beyond his wildest dreams. If your relative served in the U.S. military and was buried in one of the national cemeteries, this is a good place to look. Spouses buried with the veteran may also show up in searches. Just understand that tombstone inscriptions are often incorrect due to unreliable information provided by living relatives. Birth and death dates should always be corroborated with other records. There is no guarantee that you will find what you need from these web resources, but thanks to their recent popularity you have a pretty good chance of locating the grave site you are looking for. Spending a couple of minutes to query each database may render the need for a trip to the cemetery unnecessary.